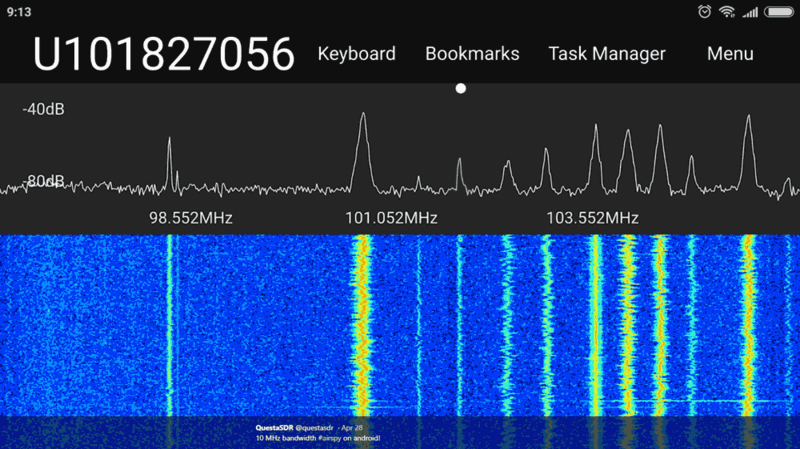 Back in April we posted about QuestaSDR, which had just released the Android version of its SDR software. Recently QuestaSDR programmer 'hOne' wrote in and noted that a new update has enabled remote streaming in QuestaSDR. To get set up, just run the Windows version of QuestaSDR on a PC, and open the "SDR Server" app. Once the server is running, you can connect to it via the Android version of QuestaSDR over a network connection. The server supports the RTL-SDR, Airspy and any ExtIO compatible device such as SDRplay units. As far as we're aware, this is the only Android app that currently supports streaming from non rtl_tcp compatible units such as the Airspy and SDRplay. hOne has been able to run an Airspy at the maximum bandwidth of 10 MSPS through his network connection. He also notes that you can now zoom into the IF spectrum in detail by using the new "IF Spectrum" plugin. hOne also notes that the streaming feature is currently in beta, and any bugs/suggestions or feedback are welcome. RTL-SDR dongles and other SDRs are often used on single board computers. These small credit sized computers are powerful enough to run multiple dongles, and run various decoding programs. 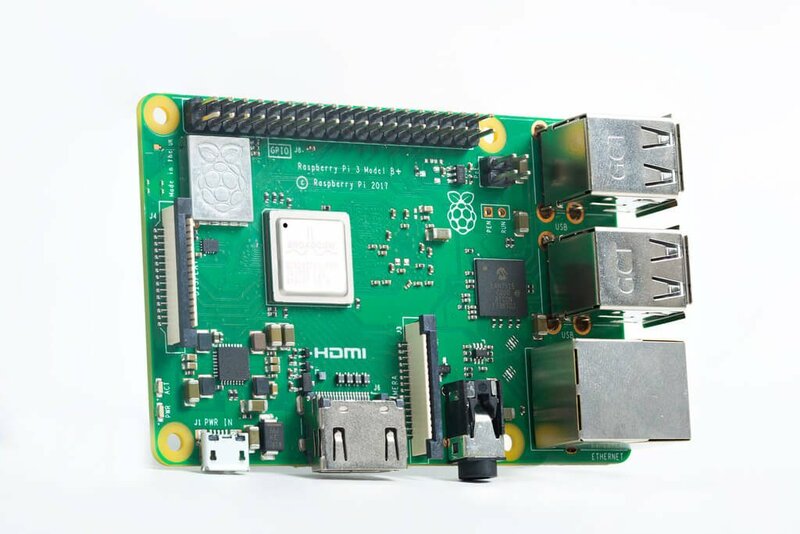 Currently, the most popular of these small computers is the Raspberry Pi 3. Just recently the Raspberry Pi 3 B+ was released at the usual US$35 price. It is an iterative upgrade over the now older Raspberry Pi 3 B. The 3B+ has an improved thermal design for the CPU, which allows the frequency to be boosted by 200 MHz. WiFi and Ethernet connectivity has also been improved, both sporting up to 3x faster upload and download speeds. The 3B+ also implements new Ethernet headers which allows for a cleaner Power over Ethernet (PoE) implementation via a hat. Previous PoE hats required that you connect the Ethernet ports together, whereas the new design does not. 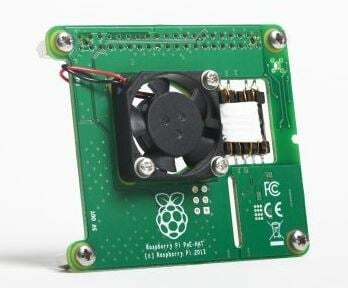 PoE allows you to power the Raspberry Pi over an Ethernet cable. The official PoE hat is not released yet, but they expect it to be out soon. The faster processing speed should allow more processing intensive graphical apps like GQRX to run smoother, whilst the improved WiFi connectivity speeds should improve performance with bandwidth hungry applications like running a remote rtl_tcp server. PoE is also a welcome improvement as it allows you to easily power a remote Raspberry Pi + RTL-SDR combination that is placed in a difficult to access area, such as in an attic close to an antenna. Placing the Pi and RTL-SDR near to the antenna eliminates the need for long runs of lossy coax cable. 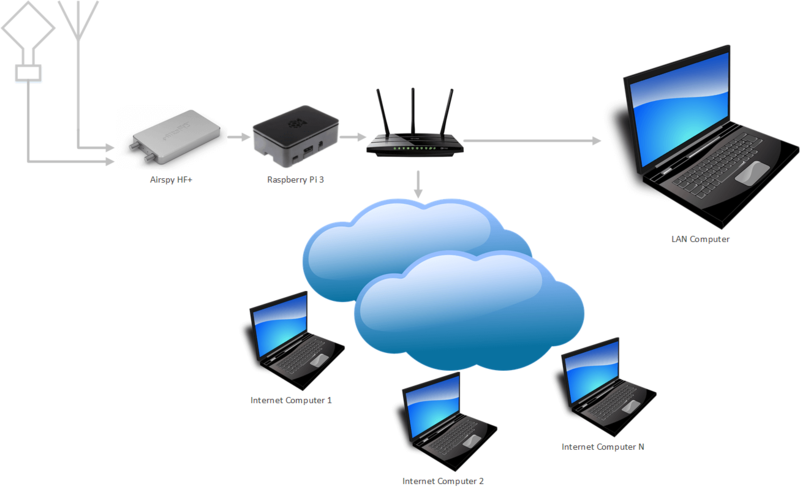 If the Pi runs rtl_tcp, SpyServer or a similar server, then the RTL-SDR can then be accessed by a networked connected PC anywhere in your house, or even remotely over the internet from anywhere in the world. I was looking to utilize a couple RTL dongles to monitor two ISM band frequencies commonly used in LoRa without buying an SDR with wide enough bandwidth to cover both ranges. I pretty quickly ran into issues with how SpyServer and rtl_tcp enumerate devices, which appears to be based mostly upon the order in which each device had been plugged in. With some work, I think I've come upon a flexible and secure solution to handle an arbitrary number of dongles on one system while maintaining deterministic control of each device. This means I can label an individual dongle, connect it to the desired antenna, and then connect to that dongle on the assigned TCP port every time, without regard to the order in which things have been plugged in. The rest of his post shows the steps which include creating an unprivileged service user, using rtl_eeprom to set device serial numbers and using a script that automatically runs on startup which will enumerate the dongles deterministically each time. In his last video YouTube user GusGorman402 showed us how to install OpenWRT and the RTL-SDR drivers on a cheap used $20 router. 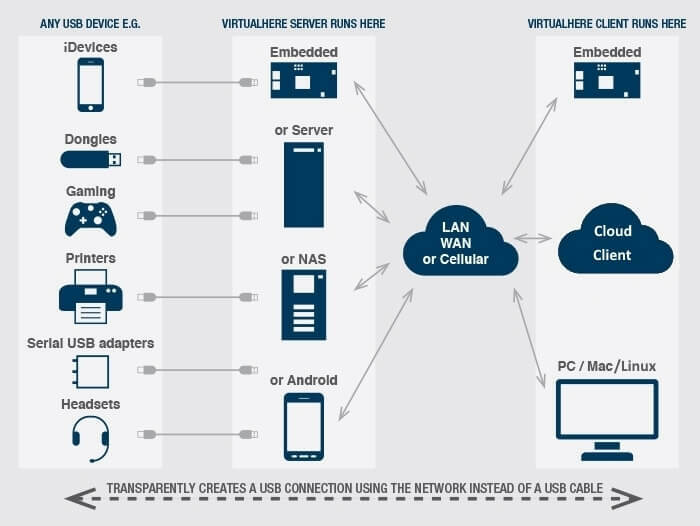 The idea is that the router with custom third party Linux firmware can be used as a remote device for streaming raw data from an RTL-SDR over a network connection. Normally something like a $35 Raspberry Pi is used for something like this, but an old router could be cheaper and should have even better network performance as it is designed for high data rates (assuming the CPU on your router is powerful enough to run the RTL-SDR). In his new video Gus shows how to properly configure OpenWRT and RTL_TCP for WiFi streaming of radio data. This includes things like setting up port forwarding and determining network performance. We’ve also seen this post by GoJimmyPi which was inspired by Gus’s original video. This is a text and screenshot based tutorial which goes through the same process.